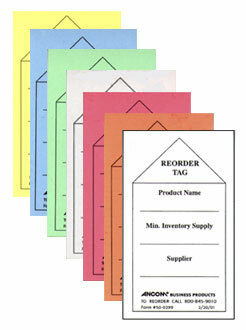 2" W x 3 1/2" H. Black ink on yellow, blue, green, gray, pink, orange, or white stock (indicate color). Price per 100. Choose: yellow, blue, green, gray, pink, orange, or white.